Can FY19 Budget Staunch R&D Spending Decline? For nearly two decades, the portion of research and development spending in DoD’s budget has steadily declined, bolstering concerns in the Pentagon and Senate that the nation is losing its technological edge, Bloomberg reports. The Senate Appropriations Committee reflected those concerns in its version of the FY19 defense spending bill, shifting $4 billion to bring R&D funding to $95.1 billion. DoD will not be paying to house some 32,000 detained immigrants, nor will the department be involved in their care, reports Foreign Policy, and the expectation of the Pentagon is any ancillary costs falling to the military will be reimbursed by the Department of Homeland Security or Health and Human Services. More than 800 foreign-born prospective Marines will soon ship off to boot camp, reports Military.com, despite reports that the Army is discharging immigrant soldiers who’d followed a similar path to military service in hopes of becoming US citizens. The US will save about $14 million by canceling next month’s Freedom Guardian exercise with South Korea, reports Washington Examiner. Space X’s Falcon Heavy wins its first contract with the Air Force, reports International Business Times. The Falcon Heavy booster has double the payload capacity and a lower base launch cost than United Launch Alliance, Boeing’s joint venture with Lockheed Martin. SecState Mike Pompeo says President Donald Trump’s new conditions-based strategy in Afghanistan has shown the Taliban “they can’t win on the ground militarily,” reports NBC News. They “cannot wait us out,” Pompeo on his visit to Kabul. DefSec Jim Mattis will be performing a balancing act at this week’s NATO summit, reports The Washington Post, working to preserve a US-European alliance he sees as crucial to America’s security while not crossing a boss who doesn’t share that view. US defense contractors want to help Japan replace its fleet of fighter jets, reports Popular Mechanics. Japan fields a force of more than 200 F-15J fighters, calculates Global Security, the largest F-15 fleet outside of the US Air Force and a pillar of the country’s defense. Japan’s F-15 fleet is also one of the oldest. An inspector general’s audit finds Washington’s Metro Transit Authority vulnerable to cyber attacks that threaten safety and reliable operations, reports The Washington Post. Details of the audit remain secret due to the risk of exposing weaknesses. Senate concerns were raised about Metro’s vulnerability after the November 2016 ransomware attack on the San Francisco’s transportation agency, reports Cyberscoop. In reporting on the audit, the Fifth Domain noted, in 2015, former President Barack Obama and Chinese leader Xi Jinping agreed not to attack critical infrastructure systems in each other’s respective countries. The commander and senior enlisted officer of a Navy SEAL team have been relieved of their duties after investigations into alleged sexual assault and sexual harassment while deployed to East Africa, reports ABC News. Cmdr. Jarrod Donaldson and Master Chief Jon Franklin were sent back to the US in May while the allegations were investigated. They could possibly face administrative punishments. By October 2020, all soldiers will be required to pass the Army’s new gender- and age-neutral Combat Readiness Test, reports Task and Purpose. The new test will involve six events that will be completed in 50 minutes or less, said Maj. Gen. Malcolm Frost, head of the Army Center for Initial Military Training. The current physical fitness test has three events. View the July 2018 Fleet and Marine Tracker, from USNI News. The MQ-8C Fire Scout unmanned helicopter finished its initial Operational Test and Evaluation from the littoral combat ship USS Coronado, reports UPI News. The crew conducted combat simulations to elevate the Fire Scout on target identification, intelligence and surface warfare, the results of which will help the Navy decide on how best to use the rotocraft. New Zealand has become the fifth export customer (after Australia, India, Norway, and the UK) for Boeing’s P-8 Poseidon, with a $1.6 billion order for four aircraft, reports Defense News. The aircraft are expected to enter Royal New Zealand Air Force in 2023. Robert Redfield, director of the Centers for Disease Control and Prevention, calls overprescription and abuse of painkillers the “public health crisis of our time,” reports The Washington Times, “already more deadly than the AIDS epidemic ever was.” In 2016, 42,000 Americans were killed from opioids; 2017 statistics are due out in the fall. 83,493 requests for voter registration changes made at the MVA had not been forwarded to the State Board of Elections for processing in time for the primary election, reports Maryland Matters. Sen. Joan Carter Conway, chairman of the Senate Health, Education and Environmental Affairs Committee, and Del. Anne R. Kaiser of the House Ways and Means Committee, are demanding answers about the blunder and have scheduled a joint hearing. Maersk Line Ltd., Norfolk, Virginia, has been awarded an estimated $181,084,200 indefinite-delivery/indefinite-quantity, fixed-price option year modification for international ocean transportation and intermodal distribution services (HTC711-16-D-W014). Work will be performed worldwide as specified on each individual order and is expected to be completed Aug. 31, 2019. Type of appropriation is fiscal 2018 and 2019 transportation working capital funds to be obligated on individual task orders. The US Transportation Command, Directorate of Acquisition, Scott Air Force Base, Illinois, is the contracting activity. Farrell Lines Inc., Norfolk, Virginia, has been awarded an estimated $51,152,366 indefinite-delivery/indefinite-quantity, fixed-price option year modification for international ocean transportation and intermodal distribution services (HTC711-16-D-W009). Work will be performed worldwide as specified on each individual order and is expected to be completed Aug. 31, 2019. Type of appropriation is fiscal 2018 and 2019 transportation working capital funds to be obligated on individual task orders. The US Transportation Command, Directorate of Acquisition, Scott Air Force Base, Illinois, is the contracting activity. Blue Rock Structures Inc., Pollocksville, North Carolina (N40085-16-D-6300); Daniels & Daniels Construction Co. Inc., Goldsboro, North Carolina (N40085-16-D-6301); Joyce & Associates Construction Inc., Newport, North Carolina (N40085-16-D-6302); Military & Federal Construction Co. Inc., Jacksonville, North Carolina (N40085-16-D-6303); Quadrant Construction Inc., Jacksonville, North Carolina (N40085-16-D-6304); and TE Davis Construction Co., Jacksonville, North Carolina (N40085-16-D-6305), are awarded an $87,000,000 firm-fixed-price modification to increase the maximum dollar value of indefinite-delivery/indefinite-quantity, multiple award construction contracts for general construction services within the Marine Corps Installations East area of responsibility. After award of this modification, the total maximum dollar value for all six contracts combined will be $182,000,000. Work will be performed at Navy and Marine Corps installations at various locations including, but not limited to, North Carolina (90 percent); Georgia (3 percent); South Carolina (3 percent); Virginia (3 percent); and other areas of the US (1 percent), and is expected to be completed by December 2020. No funds will be obligated at the time of award; funds will be obligated on individual task orders as they are issued. Future task orders will be primarily funded by operations and maintenance (Marine Corps); and military construction funds. 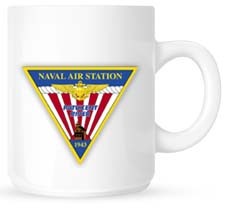 The Naval Facilities Engineering Command, Mid-Atlantic, Norfolk, Virginia, is the contracting activity. AT&T Government Solutions Inc., Vienna, Virginia, is awarded $9,281,843 for modification P00003 to a previously awarded firm-fixed-price contract (M67854-17-F-4419 P00003) to provide operations and sustainment support to Marine Corps Information Technology Service Management (ITSM) and assist the government in expanding and sustaining Marine Corps ITSM capabilities across the enterprise. The scope of this contract includes planning, system enhancement, documentation, configuration, systems engineering, operational support, integration, installation, certification and accreditation, training, maintenance, and testing. Work will be performed in Quantico, Virginia, and is expected to be completed by Sept. 30, 2019. Fiscal 2018 operations and maintenance (Marine Corps) funds in the amount of $9,281,843 will be obligated at the time of award and will expire at the end of the current fiscal year. This contract was competitively procured via the General Services Administration Alliant Government Wide Acquisition Contract with two offers received. The Marine Corps System Command, Quantico, Virginia, is the contracting activity. Vencore Services and Solutions Inc., Herndon, Virginia; and Melbourne, Florida, has been awarded a $49,800,000 cost-plus-fixed-fee with firm-fixed-price and cost-reimbursable indefinite-delivery/indefinite-quantity contract for expert scientific and analytics support. This contract provides for the advancement of detection and analysis methods, techniques, tools and systems. The contract supports the research and development of future systems and other advanced detection technologies to meet operational mission requirements for nuclear detonation monitoring of treaties and other directed technology applications. The contractor support shall provide highly specialized scientific, engineering, and analytical services to both the atmosphere, space and the subsurface nuclear detonation detection missions. Work will be performed at Patrick Air Force Base, Florida; and Melbourne, Florida. Work is expected to be completed by Aug. 20, 2024. This award is the result of a competitive acquisition and two offers received. Fiscal 2018 research and development funding in the amount of $636,674 are being obligated at the time of award. Acquisition Management and Integration Center, Detachment 2, Patrick Air Force Base, Florida, is the contracting activity (FA7022-18-D-0004). 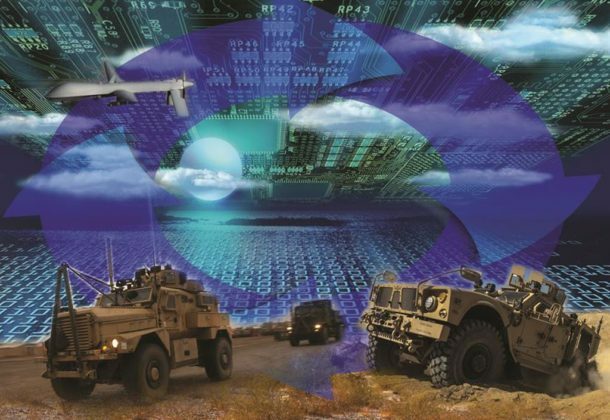 CGI Federal Inc., Fairfax, Virginia, was awarded a $10,559,277 modification (P00030) to contract W52P1J-15-C-0068 for maintenance and sustainment of software systems. Work will be performed in Fairfax, Virginia; Rock Island, Illinois; Charleston, West Virginia; Livorno, Italy; Grafenwoehr, Germany; Doha, Qatar; Camp Arifjan and Kuwait Naval Base, Kuwait; Sagami, Okinawa and Yokohama, Japan; Bagram and Kandahar, Afghanistan; Camp Carroll and Pusan, Republic of Korea; Eygelshoven, Netherlands; and Zutendaal, Belgium, with an estimated completion date of July 31, 2019. Fiscal 2018 operations and maintenance (Army) funds in the amount of $2,608,900 were obligated at the time of the award. US Army Contracting Command, Rock Island, Illinois, is the contracting activity. Mabey Inc., Elkridge, Maryland, was awarded a $9,166,535 firm-fixed-price contract for procurement and delivery of 80 meter and 320 meter Wet Gap Line of Communication Bridge systems. Bids were solicited via the Internet with two received. Work will be performed in Elkridge, Maryland, with an estimated completion date of July 9, 2019. Fiscal 2018 other procurement, Army funds in the amount of $9,166,535 were obligated at the time of the award. US Army Contracting Command, Warren, Michigan, is the contracting activity (W56HZV-18-C-0128).